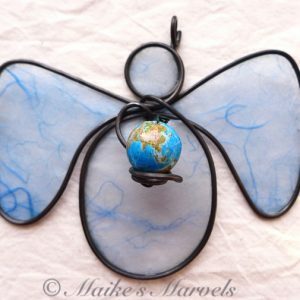 This angel holds the world in its hands to send peace and love out to everyone. 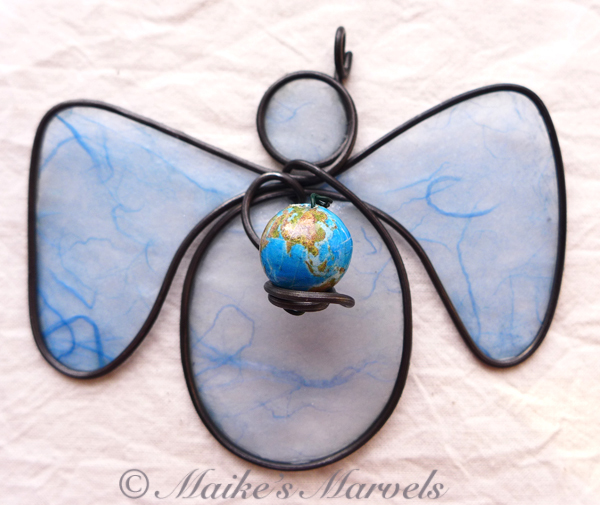 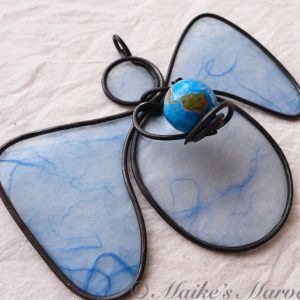 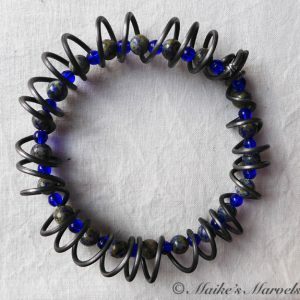 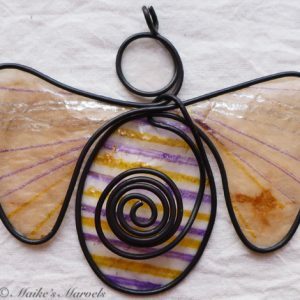 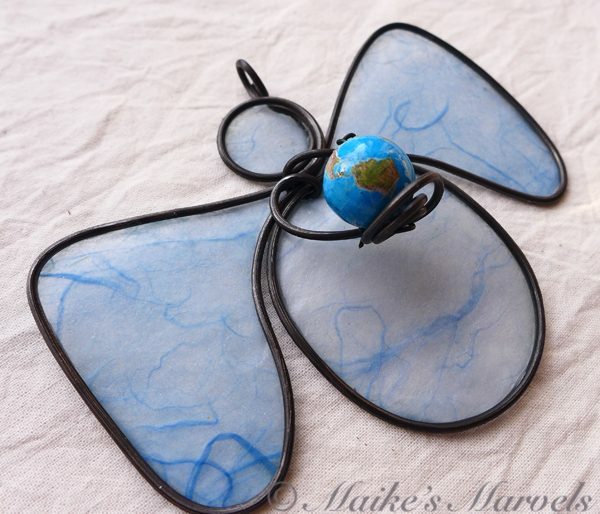 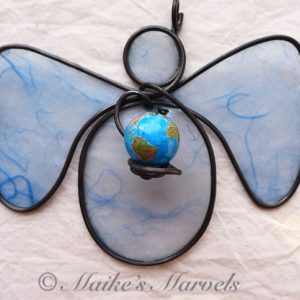 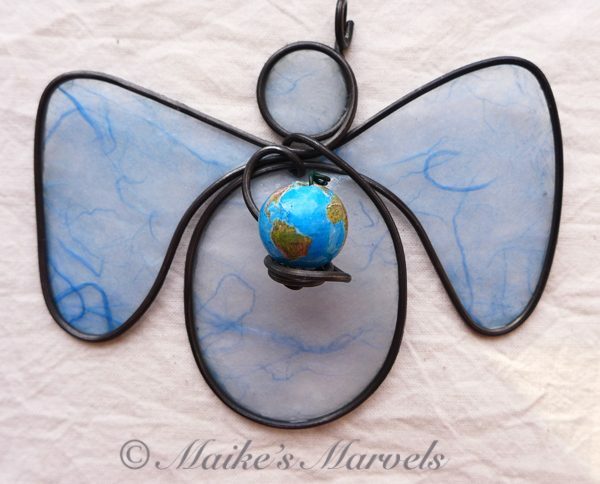 Steel wire has been hand-bent into an angel with a spiral wrapped around the globe bead. 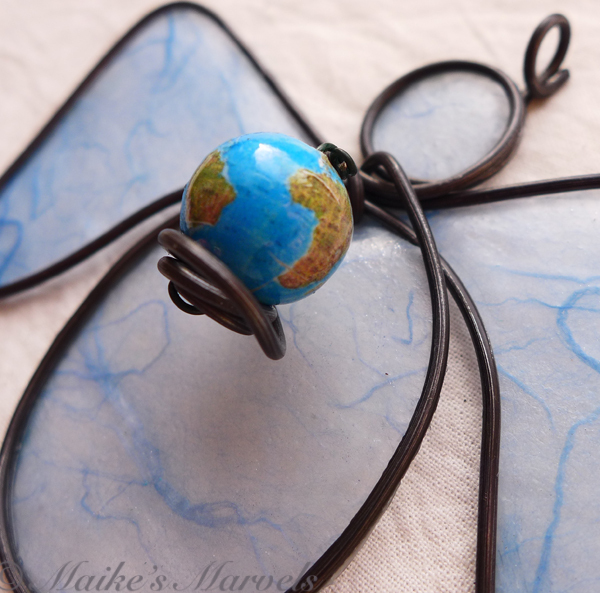 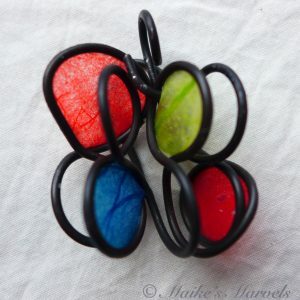 The 14 mm bead is made from a resin or paper mache and twists to show tiny continents. 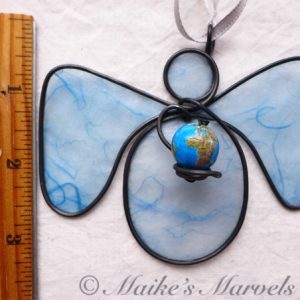 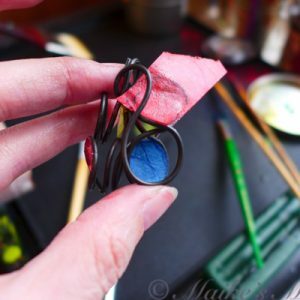 I took baby blue handmade paper and dipped it in encaustic, a beeswax and resin mixture. 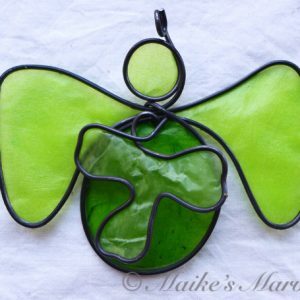 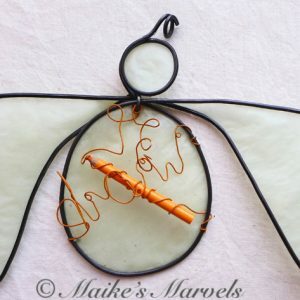 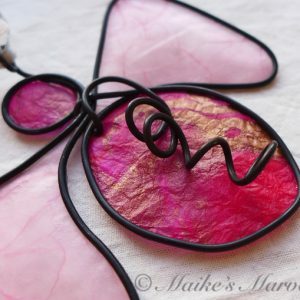 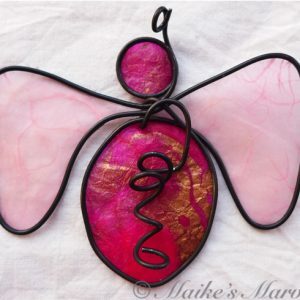 The warm paper was then adhered to the wire with an iron to create a lovely translucent angel perfect for hanging around the house. 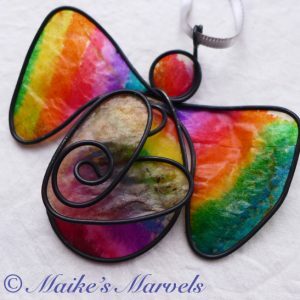 It comes with a silver satin ribbon for hanging. 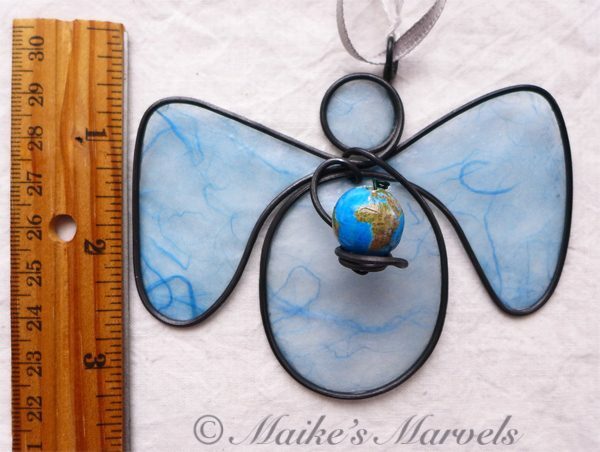 This angel measures 3 1/3 inches tall by 3 3/4 inches wide and 7/8 inch deep.